In 2008, Gaja Kolodziej received 1st price in a literary contest for a short story titled “My only dream”. 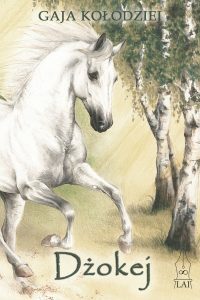 Along with short stories of other contest’s winners, “My only dream” was published a year later in a storybook “7 kolorow tęczy”. 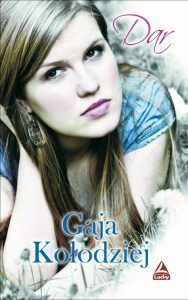 Gaja Kolodziej began to write her first novel in 2004, while she was a middle school pupil. During a math lesson, Melania Korzeniowska was born – the heroine of “Wystrzalowa licealistka”. The idea of the novel arised from a combination of boredom and fascination with movies and books about James Bond. It took three attempts to write the story about Melania but in 2008 the novel was finally completed and the typescript had 250 pages. In July 2010, the first volume of Agent 772’s adventures was published by the Publishing House Lucky, followed in March 2011 by the second volume titled “Wystrzalowa maturzystka”. Right after completion of the Agent 772 novel, Gaja Kolodziej begun studying psychology. About this time she also started to write a new novel – a story about a girl who has a power to read people’s minds. The novel “Dar” was published in June 2012 by the Publishing House Lucky. Since childhood Gaja Kolodziej dreamed about an acting career, after highschool she even entered acting studies from which she soon resigned. Still, captivation with acting found its place in the fourth novel titled “Ksiezniczka”, which was published in April 2013 by the Literary Art Institute. Psychological studies, as well as love of Jane Austen and Elizabeth Gaskell’s books resulted in a story about an impoverished woman who enters a world of great estates and wealthy people, and stuggles with adversities to get her life together. 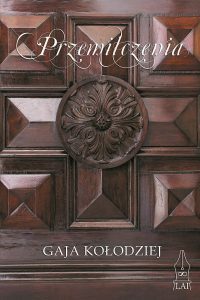 “Przemilczenia” was published in May 2014 by the Literary Art Institute. When Gaja Kolodziej was a middle schooler, she spent each summer with friends at a horse stud near Czestochowa, where in exchange for cleaning horse stalls and feeding horses, she could ride them everyday. The passion of horse riding inspired her to write the novel “Dzokej“, published by the Literary Art Institute in June 2015. First love is itself an inspiration but Gaja Kolodziej took a step further and created a story of two families whose fates has interwinded for over 25 years. Descriptions of their moments of happines and saddness were captured on pages of the novel “Kalejdoskop wspomnien”, which was published in June 2016 by the Publishing House MUZA. Moments of concentrations and reflexion are equality imporant in life however time for active leisure is also essential. Enchantment with South Korea and martial arts – Taekwondo and Krav Maga – fruited in a story about a robotics student who becoms an intern of a legendary criminal. The novel titled “Zlodziej stulecia” was published in November 2017 by the Publishing House Lucky.